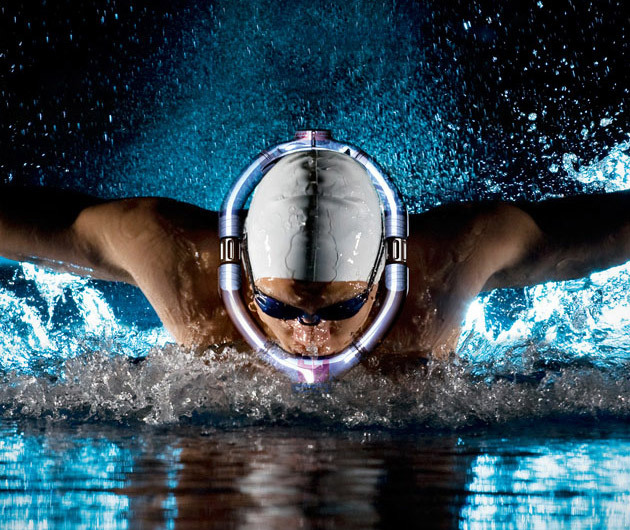 No more chlorine cocktail during the morning workout with the Powerbreather Snorkel. It's a breathing apparatus that allows swimmers to only take in fresh air, even while face down in the water. The Powerbreather Snorkel pipes in air from the back of your head while you crawl, fly, or breast stroke, allowing you to exert maximal energy without choking.